Like a colossus bestriding two worlds, Augustine stands as the last patristic and the first medieval father of Western Christianity. He gathered together and conserved all the main motifs of Latin Christianity from Tertullian to Ambrose; he appropriated the heritage of Nicene orthodoxy; he was a Chalcedonian before Chalcedon – and he drew all this into an unsystematic synthesis which is still our best mirror of the heart and mind of the Christian community in the Roman Empire. More than this, he freely received and deliberately reconsecrated the religious philosophy of the Greco-Roman world to a new apologetic use in maintaining the intelligibility of the Christian proclamation. Yet, even in his role as summator of tradition, he was no mere eclectic. The center of his “system” is in the Holy Scriptures, as they ordered and moved his heart and mind. It was in Scripture that, first and last, Augustine found the focus of his religious authority. At the same time, it was this essentially conservative genius who recast the patristic tradition into the new pattern by which European Christianity would be largely shaped and who, with relatively little interest in historical detail, wrought out the first comprehensive “philosophy of history.” Augustine regarded himself as much less an innovator than a summator. He was less a reformer of the Church than the defender of the Church’s faith. His own self-chosen project was to save Christianity from the disruption of heresy and the calumnies of the pagans, and, above everything else, to renew and exalt the faithful hearing of the gospel of man’s utter need and God’s abundant grace. But the unforeseen result of this enterprise was to furnish the motifs of the Church’s piety and doctrine for the next thousand years and more. Wherever one touches the Middle Ages, he finds the marks of Augustine’s influence, powerful and pervasive – even Aquinas is more of an Augustinian at heart than a “proper” Aristotelian. In the Protestant Reformation, the evangelical elements in Augustine’s thought were appealed to in condemnation of the corruptions of popular Catholicism – yet even those corruptions had a certain right of appeal to some of the non-evangelical aspects of Augustine’s thought and life. And, still today, in the important theological revival of our own time, the influence of Augustine is obviously one of the most potent and productive impulses at work. A succinct characterization of Augustine is impossible, not only because his thought is so extraordinarily complex and his expository method so incurably digressive, but also because throughout his entire career there were lively tensions and massive prejudices in his heart and head. His doctrine of God holds the Plotinian notions of divine unity and remotion in tension with the Biblical emphasis upon the sovereign God’s active involvement in creation and redemption. For all his devotion to Jesus Christ, this theology was never adequately Christocentric, and this reflects itself in many ways in his practical conception of the Christian life. He did not invent the doctrines of original sin and seminal transmission of guilt but he did set them as cornerstones in his “system,” matching them with a doctrine of infant baptism which cancels, ex opere operato, birth sin and hereditary guilt. He never wearied of celebrating God’s abundant mercy and grace – but he was also fully persuaded that the vast majority of mankind are condemned to a wholly just and appalling damnation. He never denied the reality of human freedom and never allowed the excuse of human irresponsibility before God – but against all detractors of the primacy of God’s grace, he vigorously insisted on both double predestination and irresistible grace. For all this the Catholic Church was fully justified in giving Augustine his aptest title, Doctor Gratiae. The central theme in all Augustine’s writings is the sovereign God of grace and the sovereign grace of God. Grace, for Augustine, is God’s freedom to act without any external necessity whatsoever – to act in love beyond human understanding or control; to act in creation, judgment, and redemption; to give his Son freely as Mediator and Redeemer; to endue the Church with the indwelling power and guidance of the Holy Spirit; to shape the destinies of all creation and the ends of the two human societies, the “city of earth” and the “city of God.” Grace is God’s unmerited love and favor, prevenient and occurrent. It touches man’s inmost heart and will. It guides and impels the pilgrimage of those called to be faithful. It draws and raises the soul to repentance, faith, and praise. It transforms the human will so that it is capable of doing good. It relieves man’s religious anxiety by forgiveness and the gift of hope. It establishes the ground of Christian humility by abolishing the ground of human pride. God’s grace became incarnate in Jesus Christ, and it remains immanent in the Holy Spirit in the Church. Augustine had no system – but he did have a stable and coherent Christian outlook. Moreover, he had an unwearied, ardent concern: man’s salvation from his hopeless plight, through the gracious action of God’s redeeming love. To understand and interpret this was his one endeavor, and to this task he devoted his entire genius. He was, of course, by conscious intent and profession, a Christian theologian, a pastor and teacher in the Christian community. And yet it has come about that his contributions to the larger heritage of Western civilization are hardly less important than his services to the Christian Church. He was far and away the best – if not the very first – psychologist in the ancient world. His observations and descriptions of human motives and emotions, his depth analyses of will and thought in their interaction, and his exploration of the inner nature of the human self – these have established one of the main traditions in European conceptions of human nature, even down to our own time. Augustine is an essential source for both contemporary depth psychology and existentialist philosophy. His view of the shape and process of human history has been more influential than any other single source in the development of the Western tradition which regards political order as inextricably involved in moral order. His conception of a societas as a community identified and held together by its loyalties and love has become an integral part of the general tradition of Christian social teaching and the Christian vision of “Christendom.” His metaphysical explorations of the problems of being, the character of evil, the relation of faith and knowledge, of will and reason, of time and eternity, of creation and cosmic order, have not ceased to animate and enrich various philosophic reflections throughout the succeeding centuries. At the same time the hallmark of the Augustinian philosophy is its insistent demand that reflective thought issue in practical consequence; no contemplation of the end of life suffices unless it discovers the means by which men are brought to their proper goals. In sum, Augustine is one of the very few men who simply cannot be ignored or depreciated in any estimate of Western civilization without serious distortion and impoverishment of one’s historical and religious understanding. In the space of some forty-four years, from his conversion in Milan (A.D. 386) to his death in Hippo Regius (A.D. 430), Augustine wrote – mostly at dictation – a vast sprawling library of books, sermons, and letters, the remains of which (in the Benedictine edition of St. Maur) fill fourteen volumes as they are reprinted in Migne, Patrologiae cursus completus, Series Latina (Vols. 32-45). In his old age, Augustine reviewed his authorship (in the Retractations) and has left us a critical review of ninety-three of his works he judged most important. Even a cursory glance at them shows how enormous was his range of interest. Yet almost everything he wrote was in response to a specific problem or an actual crisis in the immediate situation. One may mark off significant developments in his thought over this twoscore years, but one can hardly miss the fundamental consistency in his entire life’s work. He was never interested in writing a systematic summa theologica, and would have been incapable of producing a balanced digest of his multifaceted teaching. Thus, if he is to be read wisely, he must be read widely – and always in context, with due attention to the specific aim in view in each particular treatise. For the general reader who wishes to approach Augustine as directly as possible, however, it is a useful and fortunate thing that at the very beginning of his Christian ministry and then again at the very climax of it, Augustine set himself to focus his experience and thought into what were, for him, summings up. The result of the first effort is the Confessions, which is his most familiar and widely read work. The second is in the Enchiridion, written more than twenty years later. In the Confessions, he stands on the threshold of his career in the Church. In the Enchiridion, he stands forth as triumphant champion of orthodox Christianity. In these two works – the nearest equivalent to summation in the whole of the Augustinian corpus – we can find all his essential themes and can sample the characteristic flavor of his thought. Augustine was baptized by Ambrose at Milan during Eastertide, A.D. 387. A short time later his mother, Monica, died at Ostia on the journey back to Africa. A year later, Augustine was back in Roman Africa living in a monastery at Tagaste, his native town. In 391, he was ordained presbyter in the church of Hippo Regius (a small coastal town nearby). Here in 395 – with grave misgivings on his own part (cf. Sermon CCCLV, 2) and in actual violation of the eighth canon of Nicea (cf. Mansi, Sacrorum conciliorum, II, 671, and IV, 1167) – he was consecrated assistant bishop to the aged Valerius, whom he succeeded the following year. Shortly after he entered into his episcopal duties he began his Confessions, completing them probably in 398 (cf. De Labriolle, I, vi (see Bibliography), and di Capua, Miscellanea Agostiniana, II, 678). Augustine had a complex motive for undertaking such a self-analysis.1 His pilgrimage of grace had led him to a most unexpected outcome. Now he felt a compelling need to retrace the crucial turnings of the way by which he had come. And since he was sure that it was God’s grace that had been his prime mover on that way, it was a spontaneous expression of his heart that cast his self-recollection into the form of a sustained prayer to God. 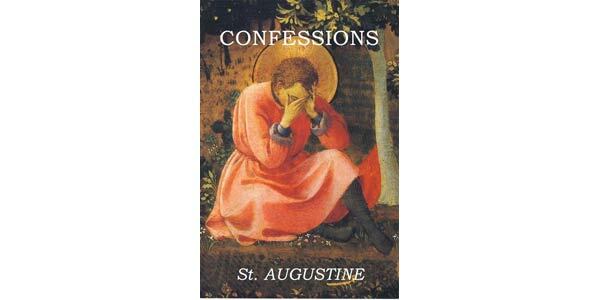 The Confessions are not Augustine’s autobiography. They are, instead, a deliberate effort, in the permissive atmosphere of God’s felt presence, to recall those crucial episodes and events in which he can now see and celebrate the mysterious actions of God’s prevenient and provident grace. Thus he follows the windings of his memory as it re-presents the upheavals of his youth and the stages of his disorderly quest for wisdom. He omits very much indeed. Yet he builds his successive climaxes so skillfully that the denouement in Book VIII is a vivid and believable convergence of influences, reconstructed and “placed” with consummate dramatic skill. We see how Cicero’s Hortensius first awakened his thirst for wisdom, how the Manicheans deluded him with their promise of true wisdom, and how the Academics upset his confidence in certain knowledge – how they loosed him from the dogmatism of the Manicheans only to confront him with the opposite threat that all knowledge is uncertain. He shows us (Bk. V, Ch. X, 19) that almost the sole cause of his intellectual perplexity in religion was his stubborn, materialistic prejudice that if God existed he had to exist in a body, and thus had to have extension, shape, and finite relation. He remembers how the “Platonists” rescued him from this “materialism” and taught him how to think of spiritual and immaterial reality – and so to become able to conceive of God in non-dualistic categories. We can follow him in his extraordinarily candid and plain report of his Plotinian ecstasy, and his momentary communion with the One (Book VII). The “Platonists” liberated him from error, but they could not loose him from the fetters of incontinence. Thus, with a divided will, he continues to seek a stable peace in the Christian faith while he stubbornly clings to his pride and appetence. In Book VIII, Augustine piles up a series of remembered incidents that inflamed his desire to imitate those who already seemed to have gained what he had so long been seeking. First of all, there had been Ambrose, who embodied for Augustine the dignity of Christian learning and the majesty of the authority of the Christian Scriptures. Then Simplicianus tells him the moving story of Victorinus (a more famous scholar than Augustine ever hoped to be), who finally came to the baptismal font in Milan as humbly as any other catechumen. Then, from Ponticianus he hears the story of Antony and about the increasing influence of the monastic calling. The story that stirs him most, perhaps, relates the dramatic conversion of the two “special agents of the imperial police” in the garden at Treves – two unlikely prospects snatched abruptly from their worldly ways to the monastic life. He makes it plain that these examples forced his own feelings to an intolerable tension. His intellectual perplexities had become resolved; the virtue of continence had been consciously preferred; there was a strong desire for the storms of his breast to be calmed; he longed to imitate these men who had done what he could not and who were enjoying the peace he longed for. But the old habits were still strong and he could not muster a full act of the whole will to strike them down. Then comes the scene in the Milanese garden which is an interesting parallel to Ponticianus’ story about the garden at Treves. The long struggle is recapitulated in a brief moment; his will struggles against and within itself. The trivial distraction of a child’s voice, chanting, “Tolle, lege,” precipitates the resolution of the conflict. There is a radical shift in mood and will, he turns eagerly to the chance text in Rom. 13:13 – and a new spirit rises in his heart. After this radical change, there was only one more past event that had to be relived before his personal history could be seen in its right perspective. This was the death of his mother and the severance of his strongest earthly tie. Book IX tells us this story. The climactic moment in it is, of course, the vision at Ostia where mother and son are uplifted in an ecstasy that parallels – but also differs significantly from – the Plotinian vision of Book VII. After this, the mother dies and the son who had loved her almost too much goes on alone, now upheld and led by a greater and a wiser love. We can observe two separate stages in Augustine’s “conversion.” The first was the dramatic striking off of the slavery of incontinence and pride which had so long held him from decisive commitment to the Christian faith. The second was the development of an adequate understanding of the Christian faith itself and his baptismal confession of Jesus Christ as Lord and Saviour. The former was achieved in the Milanese garden. The latter came more slowly and had no “dramatic moment.” The dialogues that Augustine wrote at Cassiciacum the year following his conversion show few substantial signs of a theological understanding, decisively or distinctively Christian. But by the time of his ordination to the presbyterate we can see the basic lines of a comprehensive and orthodox theology firmly laid out. 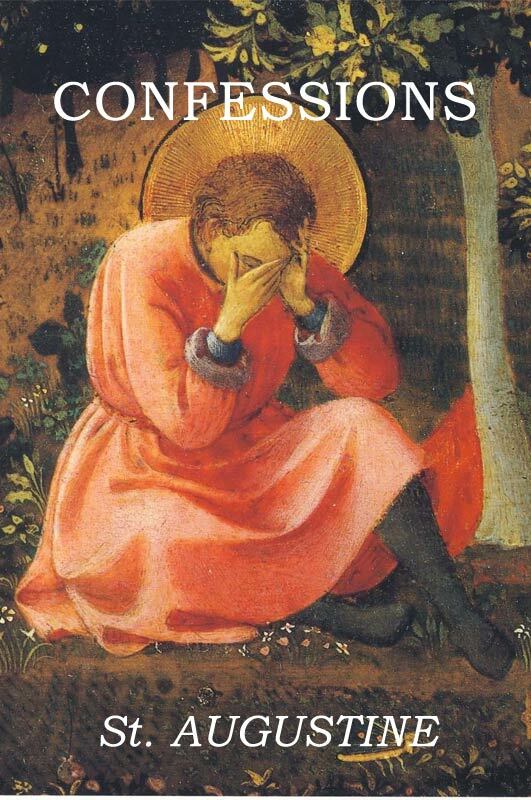 Augustine neglects to tell us (in 398) what had happened in his thought between 385 and 391. He had other questions, more interesting to him, with which to wrestle. One does not read far in the Confessions before he recognizes that the term “confess” has a double range of meaning. On the one hand, it obviously refers to the free acknowledgment, before God, of the truth one knows about oneself – and this obviously meant, for Augustine, the “confession of sins.” But, at the same time, and more importantly, confiteri means to acknowledge, to God, the truth one knows about God. To confess, then, is to praise and glorify God; it is an exercise in self-knowledge and true humility in the atmosphere of grace and reconciliation. Thus the Confessions are by no means complete when the personal history is concluded at the end of Book IX. There are two more closely related problems to be explored: First, how does the finite self find the infinite God (or, how is it found of him?)? And, secondly, how may we interpret God’s action in producing this created world in which such personal histories and revelations do occur? Book X, therefore, is an exploration of man’s way to God, a way which begins in sense experience but swiftly passes beyond it, through and beyond the awesome mystery of memory, to the ineffable encounter between God and the soul in man’s inmost subject-self. But such a journey is not complete until the process is reversed and man has looked as deeply as may be into the mystery of creation, on which all our history and experience depend. In Book XI, therefore, we discover why time is such a problem and how “In the beginning God created the heavens and the earth” is the basic formula of a massive Christian metaphysical world view. In Books XII and XIII, Augustine elaborates, in loving patience and with considerable allegorical license, the mysteries of creation – exegeting the first chapter of Genesis, verse by verse, until he is able to relate the whole round of creation to the point where we can view the drama of God’s enterprise in human history on the vast stage of the cosmos itself. The Creator is the Redeemer! Man’s end and the beginning meet at a single point! The Enchiridion is a briefer treatise on the grace of God and represents Augustine’s fully matured theological perspective – after the magnificent achievements of the De Trinitate and the greater part of the De civitate Dei, and after the tremendous turmoil of the Pelagian controversy in which the doctrine of grace was the exact epicenter. Sometime in 421, Augustine received a request from one Laurentius, a Christian layman who was the brother of the tribune Dulcitius (for whom Augustine wrote the De octo dulcitii quaestionibus in 423-425). This Laurentius wanted a handbook (enchiridion) that would sum up the essential Christian teaching in the briefest possible form. Augustine dryly comments that the shortest complete summary of the Christian faith is that God is to be served by man in faith, hope, and love. Then, acknowledging that this answer might indeed be too brief, he proceeds to expand it in an essay in which he tries unsuccessfully to subdue his natural digressive manner by imposing on it a patently artificial schematism. Despite its awkward form, however, the Enchiridion is one of the most important of all of Augustine’s writings, for it is a conscious effort of the theological magistrate of the Western Church to stand on final ground of testimony to the Christian truth. Taken together, the Confessions and the Enchiridion give us two very important vantage points from which to view the Augustinian perspective as a whole, since they represent both his early and his mature formulation. From them, we can gain a competent – though by no means complete – introduction to the heart and mind of this great Christian saint and sage. There are important differences between the two works, and these ought to be noted by the careful reader. But all the main themes of Augustinian Christianity appear in them, and through them we can penetrate to its inner dynamic core. There is no need to justify a new English translation of these books, even though many good ones already exist. Every translation is, at best, only an approximation – and an interpretation too. There is small hope for a translation to end all translations. Augustine’s Latin is, for the most part, comparatively easy to read. One feels directly the force of his constant wordplay, the artful balancing of his clauses, his laconic use of parataxis, and his deliberate involutions of thought and word order. He was always a Latin rhetor; artifice of style had come to be second nature with him – even though the Latin scriptures were powerful modifiers of his classical literary patterns. But it is a very tricky business to convey such a Latin style into anything like modern English without considerable violence one way or the other. A literal rendering of the text is simply not readable English. And this falsifies the text in another way, for Augustine’s Latin is eminently readable! On the other side, when one resorts to the unavoidable paraphrase there is always the open question as to the point beyond which the thought itself is being recast. It has been my aim and hope that these translations will give the reader an accurate medium of contact with Augustine’s temper and mode of argumentation. There has been no thought of trying to contrive an English equivalent for his style. If Augustine’s ideas come through this translation with positive force and clarity, there can be no serious reproach if it is neither as eloquent nor as elegant as Augustine in his own language. In any case, those who will compare this translation with the others will get at least a faint notion of how complex and truly brilliant the original is! The sensitive reader soon recognizes that Augustine will not willingly be inspected from a distance or by a neutral observer. In all his writings there is a strong concern and moving power to involve his reader in his own process of inquiry and perplexity. There is a manifest eagerness to have him share in his own flashes of insight and his sudden glimpses of God’s glory. Augustine’s style is deeply personal; it is therefore idiomatic, and often colloquial. Even in his knottiest arguments, or in the labyrinthine mazes of his allegorizing (e.g., Confessions, Bk. XIII, or Enchiridion, XVIII), he seeks to maintain contact with his reader in genuine respect and openness. He is never content to seek and find the truth in solitude. He must enlist his fellows in seeing and applying the truth as given. He is never the blind fideist; even in the face of mystery, there is a constant reliance on the limited but real powers of human reason, and a constant striving for clarity and intelligibility. In this sense, he was a consistent follower of his own principle of “Christian Socratism,” developed in the De Magistro and the De catechezandis rudibus. Even the best of Augustine’s writing bears the marks of his own time and there is much in these old books that is of little interest to any but the specialist. There are many stones of stumbling in them for the modern secularist – and even for the modern Christian! Despite all this, it is impossible to read him with any attention at all without recognizing how his genius and his piety burst through the limitations of his times and his language – and even his English translations! He grips our hearts and minds and enlists us in the great enterprise to which his whole life was devoted: the search for and the celebration of God’s grace and glory by which his faithful children are sustained and guided in their pilgrimage toward the true Light of us all. The most useful critical text of the Confessions is that of Pierre de Labriolle (fifth edition, Paris, 1950). I have collated this with the other major critical editions: Martin Skutella, S. Aureli Augustini Confessionum Libri Tredecim (Leipzig, 1934) – itself a recension of the Corpus Scriptorum ecclesiasticorum Latinorum XXXIII text of Pius Knöll (Vienna, 1896) – and the second edition of John Gibb and William Montgomery (Cambridge, 1927). There are two good critical texts of the Enchiridion and I have collated them: Otto Scheel, Augustins Enchiridion (zweite Auflage, Tübingen, 1930), and Jean Rivière, Enchiridion in the Bibliothèque Augustinienne, Œuvres de S. Augustin, première série: Opuscules, IX: Exposés généraux de la foi (Paris, 1947). It remains for me to express my appreciation to the General Editors of this Library for their constructive help; to Professor Hollis W. Huston, who read the entire manuscript and made many valuable suggestions; and to Professor William A. Irwin, who greatly aided with parts of the Enchiridion. These men share the credit for preventing many flaws, but naturally no responsibility for those remaining. Professors Raymond P. Morris, of the Yale Divinity School Library; Robert Beach, of the Union Theological Seminary Library; and Decherd Turner, of our Bridwell Library here at Southern Methodist University, were especially generous in their bibliographical assistance. Last, but not least, Mrs. Hollis W. Huston and my wife, between them, managed the difficult task of putting the results of this project into fair copy. To them all I am most grateful.